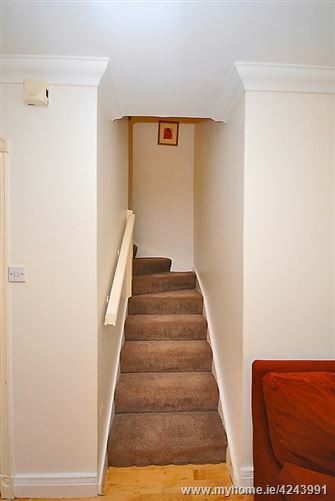 Baxter Real Estate are delighted to present to the market, this 2-bedroom terraced home, which occupies an area of approximately 59 sq.m./635 sq.ft. and is located in a sought-after neighbourhood. On entering this home, you are greeted with a porch which leads to an open-plan living/dining room. This room features an open fireplace and a semi-solid wooden floor. 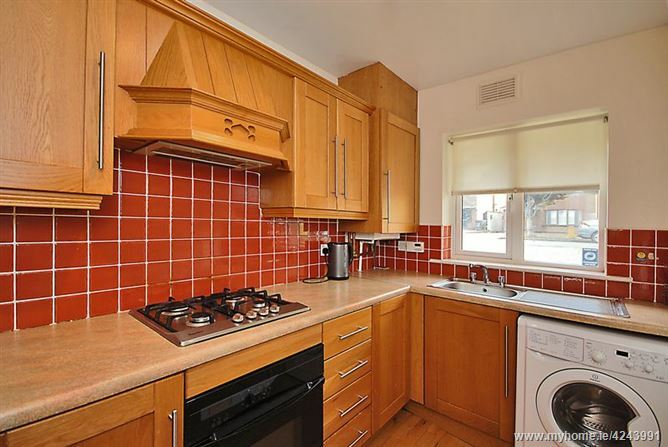 The separate kitchen also has a semi-solid wooden floor, ample units and a tiled splashback. 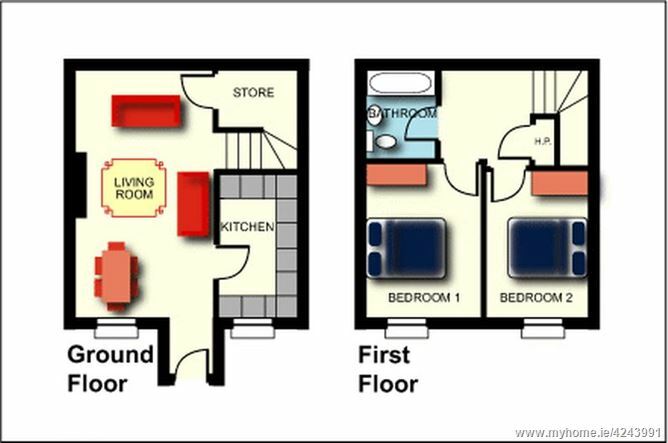 At first floor level, there are two bedrooms, both with built-in wardrobes. A family bathroom services both bedrooms. Storage space is provided for in the attic. 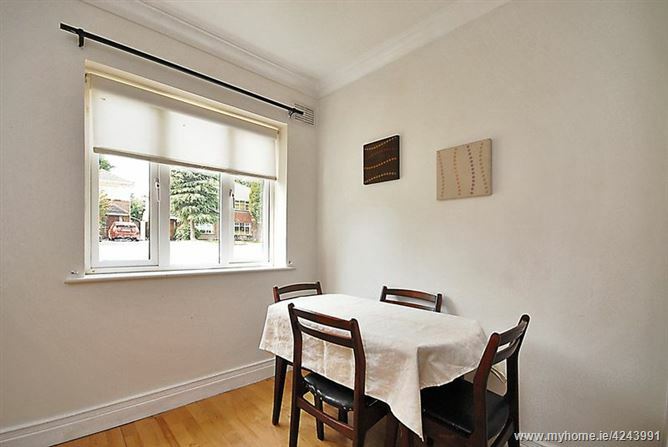 This home is ideally situated close to numerous amenities, including schools and shops. Coolmine Train Station, which provides a regular service to the city centre, is approximately a 20 minute walk away. Dublin Bus also services the area, and by car, the N3 provides direct access to the M50 and the national road network, with only a short 20 minute commute to Dublin Airport. 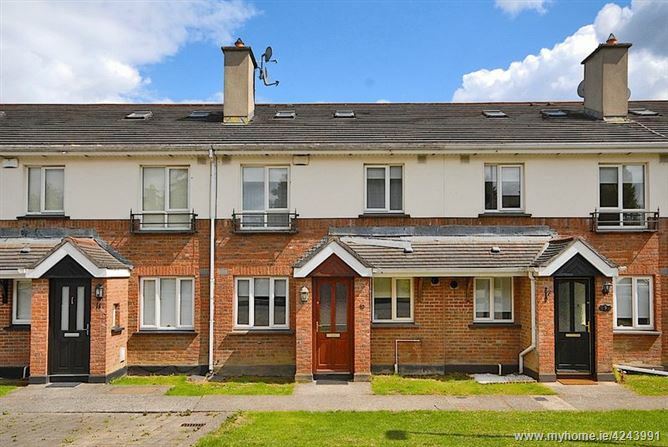 Nearby amenities include Castleknock Golf and Country Club, Castleknock Lawn Tennis Club, Blanchardstown Shopping Centre, and the Phoenix Park which offers many outdoor pursuits. Please note that all information including areas are given for guidance purposes only. 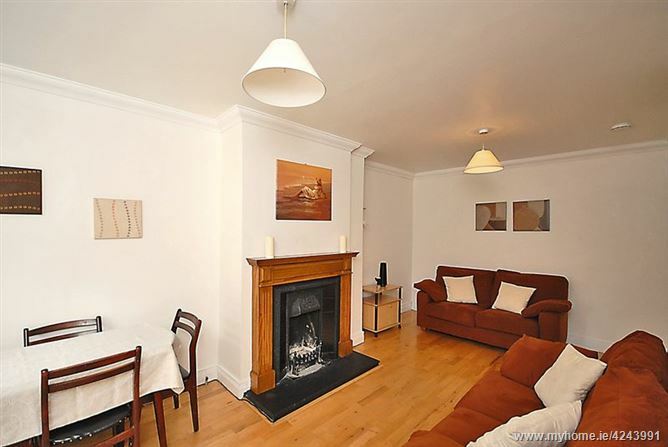 2-bedroom terraced home in a sought-after neighbourhood. Ideally located close to numerous amenities. 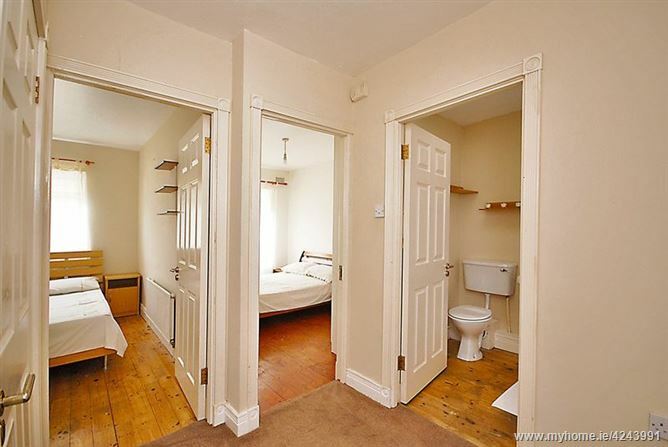 Built-in wardrobes in both bedrooms. 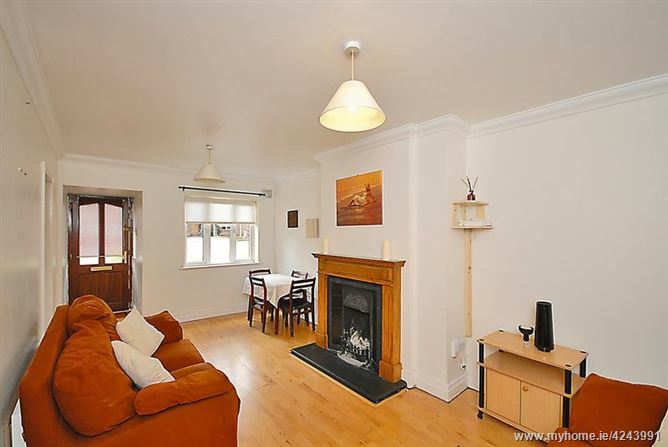 Living/Dining Room - 18' 11'' x 10' 4'' (5.76m x 3.16m) - Semi-solid wooden floor and an open feature fireplace. 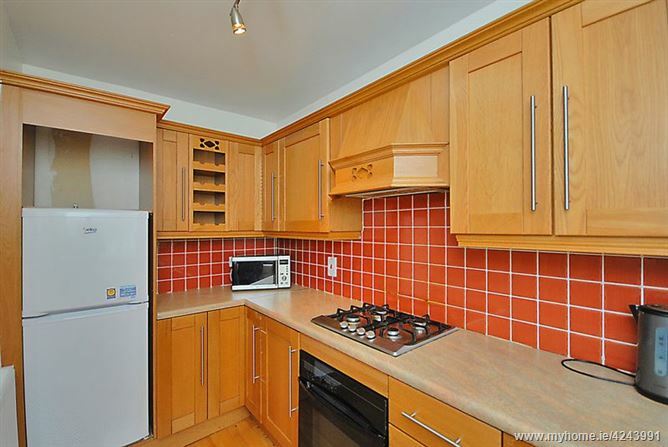 Kitchen - 10' 11'' x 6' 0'' (3.34m x 1.82m) - Semi-solid wooden floor and a tiled splashback. 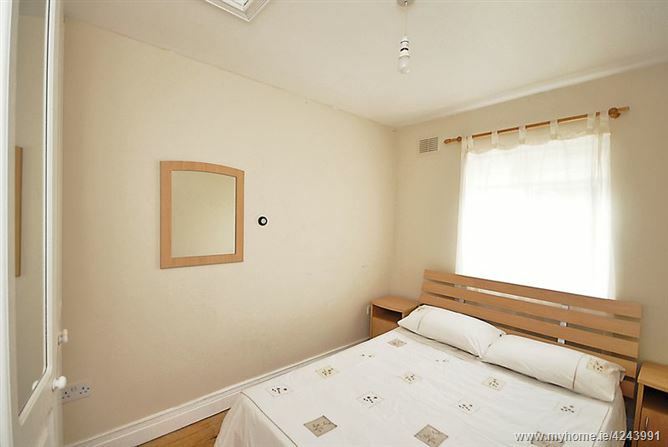 Bedroom 1 - 11' 9'' x 8' 7'' (3.59m x 2.61m) - Built-in wardrobes and a timber floor. 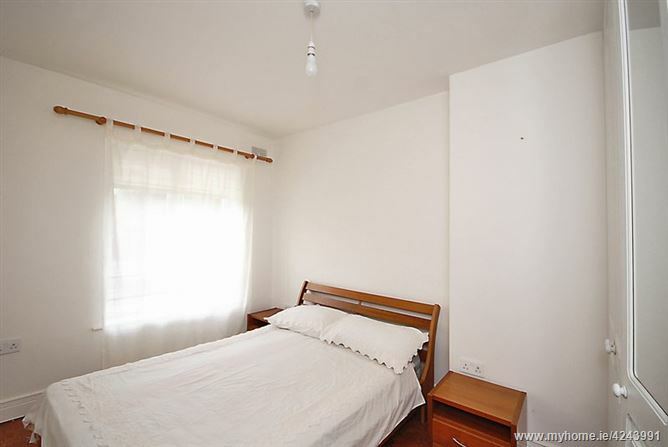 Bedroom 2 - 11' 1'' x 8' 0'' (3.39m x 2.43m) - Built-in wardrobes and a timber floor. 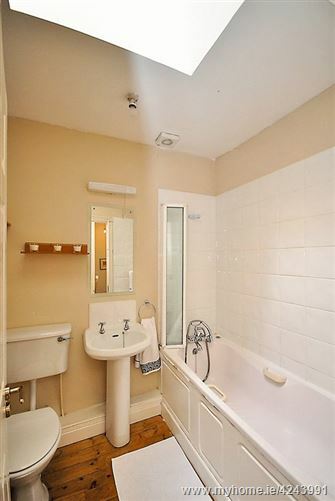 Family Bathroom - 6' 8'' x 5' 7'' (2.03m x 1.70m) - Tiled bath surround and a timber floor.